Top Dating Sites India - Are Indians Keen On Online Cheating? 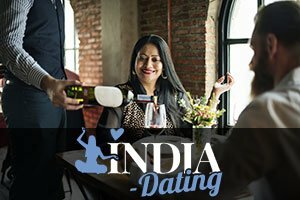 Indians have shown that they’re HUGE fans of online dating, which is no surprise since it’s helping them out in more ways than one in regards to finding a life-long partner. Hence India is such a huge country with so many people living in it, online dating gave a helping hand to many singles who couldn’t find a potential husband/wife. Getting married is a very important part of Indian culture, and people are pressured into getting married by the age of 25. As young people are rebelling against arranged marriages with someone they don’t even like, they try to find a suitable match in someone they could actually love. But since finding The One isn’t as easy as one thinks, a lot of Indians are getting shunned by their families when they don’t get married when they are expected to. However, with online dating, they are not limited to choosing among the singles in their nearest area. Every single person in the whole country is now easily findable, and they have a lot more people to choose from. In those terms, dating online and its various services did a lot for Indians who are looking for love. Yet, online dating may have also made it easier for Indians to cheat on their partners. Are Indians keen on online cheating, and if they are, do they stop when they get married or do they continue with their deeds even after agreeing to be faithful to one person for their whole life? Generally speaking, Indians are not more nor less keen on cheating than any other nation. To condemn a whole nation on the basis of some of its people is simply nonsense, whether the subject is cheating or anything else. However, they are still known as a nation that cheats on their spouses. Indian men, primarily, are notorious for not being able to “keep it in their pants,” and this phenomenon didn’t come out of nowhere. So the real question is why are Indians labeled as cheaters if they don’t cheat more than any other nation? The Indian nation is generally not very subtle when it comes to any aspect of life. They’re outgoing, loud, and they openly show you if they like or dislike you. When an Indian man sees an attractive woman he will surely make her aware of his thoughts and feelings. Even if he’s married or has a girlfriend! Furthermore, they are always open about it. And that’s where the issue lies. Men all around the world, who are in a committed relationship or are married, are rarely open about their status when they approach a woman with whom they hope to “get lucky”. On the other hand, Indian men won’t lie and they will (in 99% of all cases) let you know what they’re all about. Cheating is bad, there’s no doubt about that. However, if one should decide to be unfaithful he or she should at least let the person he’s/she’s about to cheat with know. Online dating has made cheating even easier for Indian men, but it didn’t actually influence the numbers of cheating husbands. But what about the spouses? In this case – Indian women? Are they aware of the situation? And if they are, do they just turn a blind eye to their husband’s/boyfriend’s activities? Let’s be clear, women cheat as well. In fact, they cheat just as much as men. However, when it comes to Indian women, they’re far less keen on cheating due to the harsh standpoint of India’s culture towards cheating wives (in contrast to cheating husbands). And if they do cheat, they hide it very well, but the huge majority doesn’t even know that their spouse is unfaithful as well. And they especially don’t use the internet as means of cheating. So, yeah, Indians are just as keen on cheating as any other nation, but online dating is not to blamed here, that’s for sure.